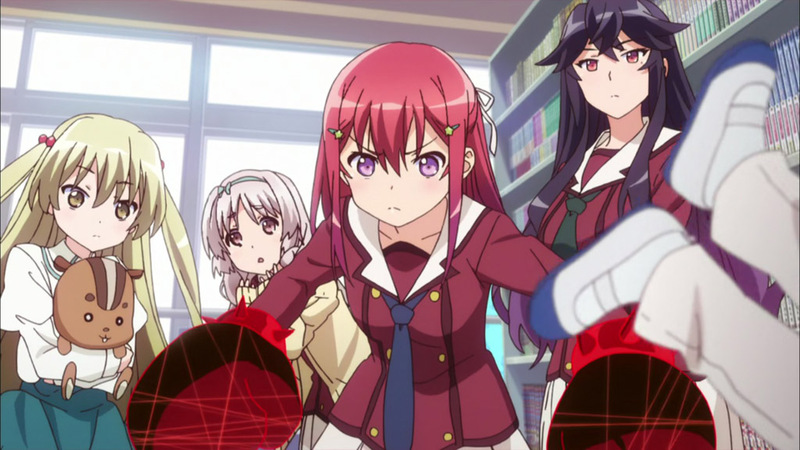 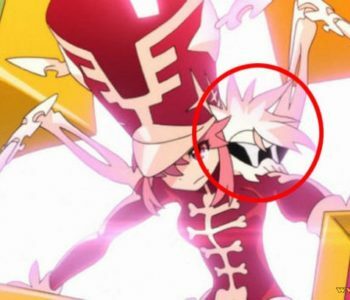 During Ryuko and Nonon's battle the Team Dai-Gurren logo can clearly be seen on Nonon's uniform. 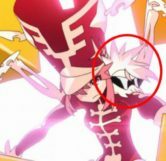 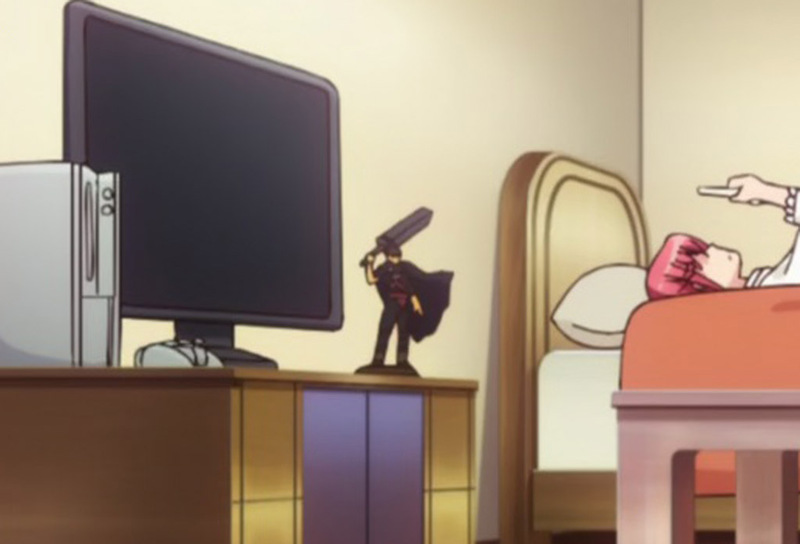 Seen only in episodes 10 and 11 of Kill La Kill, as Ryuko fights Nonon Jakuruze of The Elite Four, we see Nonon with her Goku uniform in Symphony Regalia Grave form. 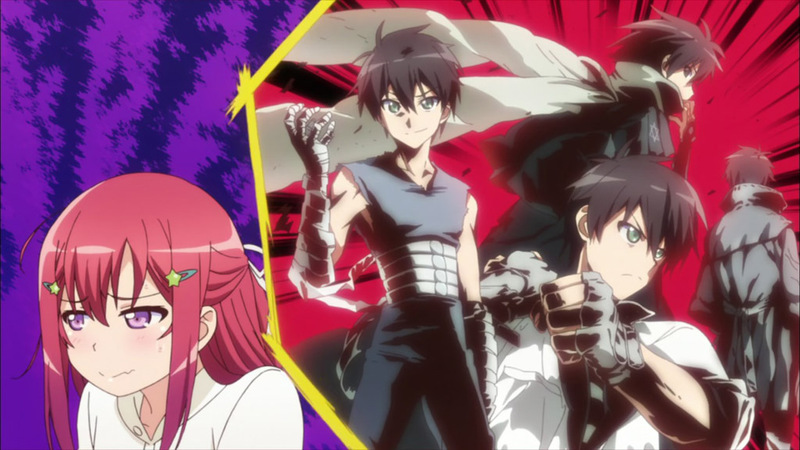 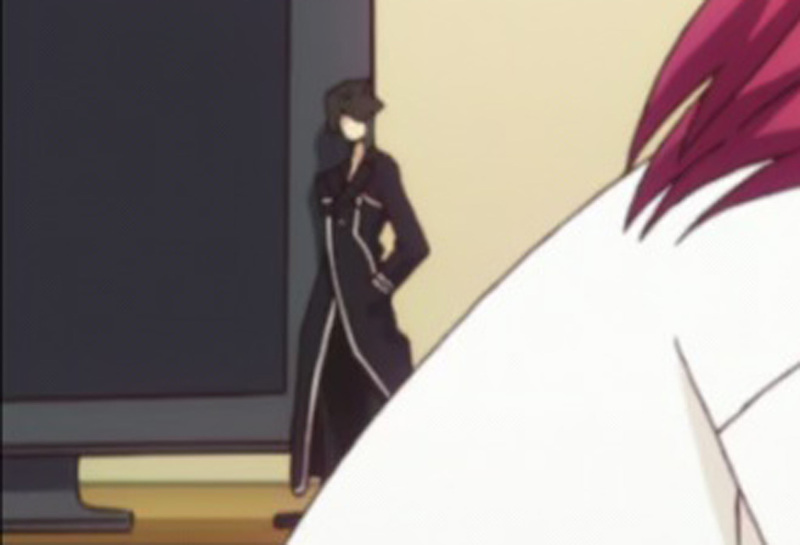 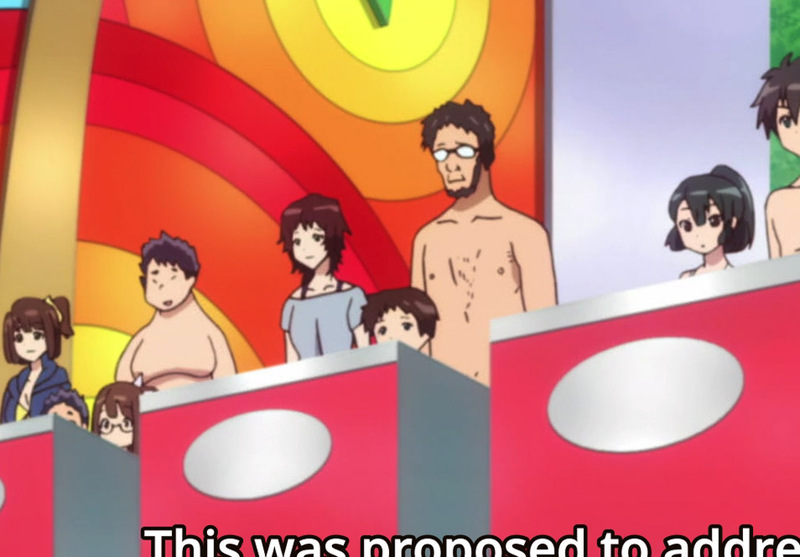 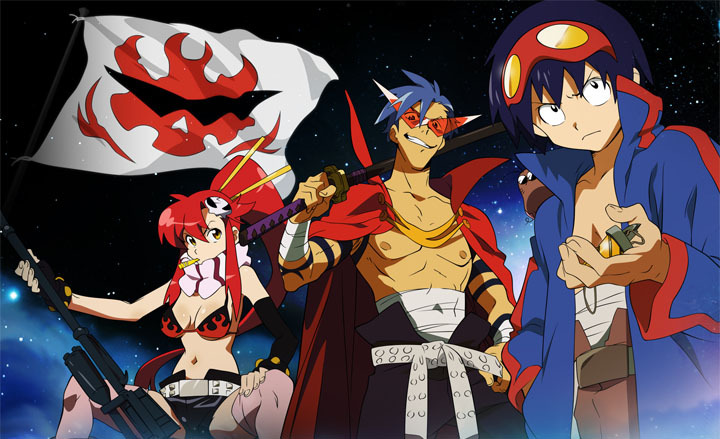 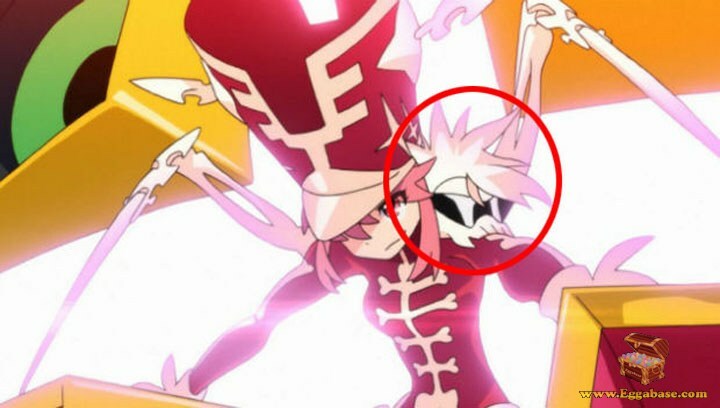 Noticeably, on her left shoulder is a skull with long hair that’s wearing Kamina shades. 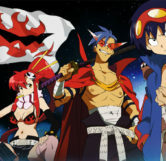 This skull is actually the emblem for Team Dai-Gurren, the protagonist group from the anime, Gurren Lagann, and the shades we see on the skull are Team Dai-Gurren’s first leader, Kamina Jiha’s signature sunglasses.